If you suffer from flat feet they may also cause additional problems for you like pain in the knee and hip joints. Luckily, many inexpensive and ready to wear insoles for flat feet can help to correct these issues and prevent further damage and discomfort to your body. Biomechanically engineered product supports the ankle. Absorbs shock and realigns the foot. Created by podiatrists and physiotherapists. Medical-grade orthotic insert with arch support. Features a heel cradle and silicone cushioning. Unisex and suitable for a variety of footwear. Resilient arch support improves alignment of feet and legs. Pronation control provides pain relief and prevention. Washable product is antimicrobial and moisture wicking. Memory foam layer molds to the shape of your foot. Low-profile product fits in all kinds of shoes. Latex-free product has organic odor control feature. Variable Cushioning Technology helps to protect feet. Product features a heel cradle and built-in arch support. Insoles are thin enough to be worn in many kinds of footwear. Flat feet, also known as fallen arches or pes planus, occur when the bottom of the foot doesn’t have an arch shape when you’re standing and touches the ground instead. This is due to over pronation, where the feet roll inwards, and may be apparent from shoes wearing out quickly through uneven pressure. While flat feet often occur due to genetics, there are a number of other factors that can cause this issue. These include foot and ankle injuries, weak arches, damage to the posterior tibial tendon, arthritis and muscular or nervous system conditions like muscular dystrophy and cerebral palsy. How Do Insoles for Flat Feet Work? 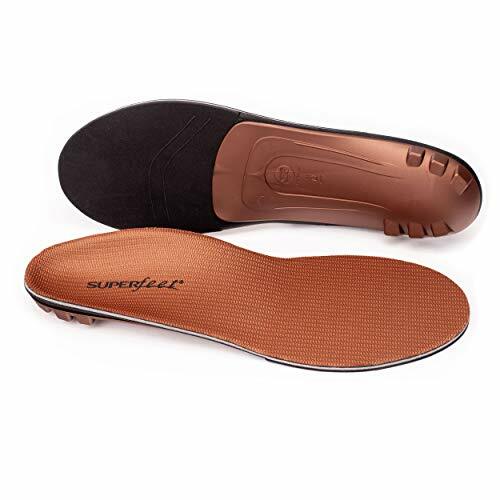 Insoles for flat feet work by supporting the sole of the foot where the arch normally is, and by preventing the inside of the foot from rolling inwards. This realignment of the bones in the foot helps to improve stability and prevent injury or any worsening of the condition. It’s important to note that insoles for flat feet only benefit the feet while they’re being worn; they don’t actually change the shape of the foot but are beneficial for relieving painful symptoms. For serious conditions, surgery may be necessary. 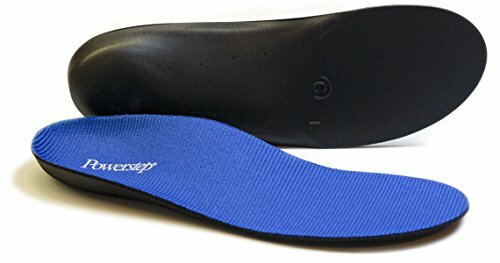 What Is the Best Way to Use Insoles for Flat Feet? Insoles for flat feet are easy and straightforward to use. First, you generally need to remove the original factory insoles from your shoes so that the new ones will fit. Then, simply insert the insoles for flat feet into your shoes. If they don’t fit and require trimming, use the factory insoles or your own feet as a guide. You should allow your feet time to adjust to the insoles, and ideally not wear them for long periods until your feet are used to them. Most insoles for flat feet last between six months and two years. How Do I Choose the Best Insoles for Flat Feet? It’s very important that you see a podiatrist or other foot specialist before purchasing insoles for flat feet, as they’ll be able to assess your condition and any other areas of pain in order to establish the best product for you. Depending on the status and severity of your condition, as well as any other issues you may be experiencing in the foot area, there are a number of features to these products that may be beneficial for you. Insoles for flat feet have a supportive structure which helps to keep the foot in correct alignment and prevent it from rolling inwards. Insoles may have cushioning areas or even a memory foam sole which molds to the shape of your foot. Heel cups provide extra support, and some products have a high level of shock absorption to help reduce impact on the joints. Insoles for flat feet may be unisex or specifically shaped for a male or female foot. The materials used have their own features such as moisture wicking to keep your feet dry, or an antimicrobial treatment to prevent odors developing. What Are the Benefits of Insoles for Flat Feet? Insoles for flat feet have numerous benefits. They can help to relieve and eliminate foot pain, weakness, numbness and stiffness that can result from this condition. They can also aid in reducing pain in other areas of your body such as the hip, knee and back, which are often affected by over pronation in the foot. Insoles for flat feet can relieve pressure from the arch, and improve the stability of the foot and lower leg. This support can help to improve your performance during many physical activities, and increase your comfort level as well. There are a wide variety of insole products currently available, and many of these are beneficial for flat feet and the subsequent issues they can cause. However with such a large number of products available it can be very difficult to select the right one for your needs. We’ve taken five of the best insoles for flat feet, and evaluated them on their quality, features, effectiveness and value for money. These insoles for flat feet are biomechanically engineered to support the ankle, which helps to prevent over pronation of the foot. By correcting the alignment of the foot and addressing the cause of the pain instead of the symptoms, this product aids in reducing foot fatigue and pain, while preventing injury and improving movement efficiency. It also helps to absorb shock and evenly distribute force by realigning your body. These insoles for flat feet are beneficial for many conditions, including plantar fasciitis, overpronation, and pain in the foot, arch, ankle and heel areas. This product provides comfort and support during physical activity, and is suitable for anyone from active sportspeople to those who lead a more sedentary lifestyle. These insoles for flat feet are easy to use, and fit all kind of footwear with removable insoles. They were designed by a team of podiatrists and physiotherapists for effective treatment and relief from many foot issues. Beneficial for metatarsalgia and plantar fasciitis. Fits well and doesn’t slide around. Beneficial for knee and back pain. Caused blisters for some users. These insoles for flat feet are functional medical-grade orthotic inserts, featuring an arch support which helps to distribute and reduce pressure in the foot area. The deep heel cradle enhances stability by keeping the bones of the foot correctly aligned, and the cushioning silicone heel support provides both shock absorption and pain relief. This product is designed to alleviate pain in the foot, heel, arch and ankle, which may be caused by conditions like plantar fasciitis, flat feet and overpronation. It’s unisex and fits in many kinds of footwear, including work boots, street shoes, running shoes, flats and slippers. These insoles for flat feet are made from premium materials, including durable EVA foam which provides support and comfort through its multilayer cushioning. The top layer of fabric aids in keeping feet cool and dry by wicking away moisture and sweat. Helps alleviate foot pain and lower back pain. Effective for supporting the arch of the foot. Can make pain levels worse. Didn’t support painful area for one user. Hard to insert as product is very stiff. Some sizing issues for some users. 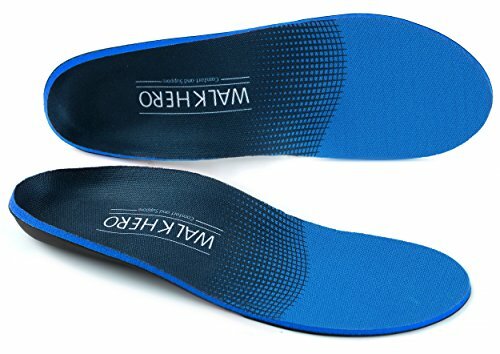 These insoles for flat feet feature a resilient arch support, which improves the alignment of the feet and legs, and provides higher levels of pain relief than soft foam products. It also aids in alleviating pain and stress from conditions like supination, arthritis, bunions, diabetes, knee pain, plantar fasciitis and Achilles tendonitis. Pronation control helps to relieve pain from flat feet and can prevent this condition from re-occuring. This product features a deep heel cup which helps to stabilize the foot and maintain correct alignment, as well as reducing the effects of impact to the heel. Premium EVA foam provides excellent shock absorption, helps to relieve pain, and allows the foot to move instead of locking it in place. An antimicrobial fabric layer aids in reducing friction, and also wicks away moisture from sweat to keep feet cool. These insoles for flat feet are suitable for everyday use in high volume footwear such as work boots, running shoes, dress shoes and casual footwear. This product is washable and can last for longer than two years. Beneficial for heel and leg pain. Manufacturing issues for one user. Product is very hard and doesn’t provide cushioning. Caused more pain for some users. Product doesn’t fit some shoes. These insoles for flat feet have a low arch and feature a memory foam top layer which provides comfort by molding to the shape of your foot. A durable lower layer helps to maintain this shape and support, while the reinforced rearfoot and heel cup provide structure to help position the heel correctly so it naturally absorbs impact. This product is suitable for the management and treatment of all kinds of foot pain and plantar fasciitis, and it can also help to reduce stress on the joints of the lower leg. A low profile ensures flexible support and this product will fit all kinds of footwear with removable insoles. These insoles for flat feet are vegan and latex free, with an organic odor-control coating which prevents bacteria that cause unpleasant odors. Product contours well to foot. Increased support and comfort when walking long distances. Product molds well to shape of foot. Tight in the toe area. Toe area wore out quickly. Hard plastic in the heel area. Hard to trim to fit. These insoles for flat feet feature a heel cradle which increases stability and provides a cushioning support against high impacts. Variable Cushioning Technology offers a moderate level of targeted protection to the feet during standing, walking or athletic activity. The design of this product includes a built-in arch support and a firm support shell that still allows flexibility. These insoles for flat feet can relieve pain from and help prevent numerous conditions, including metatarsal pain, pronation, plantar fasciitis, heel pain, arch pain, and aching feet. This product is full length and thin enough to fit inside dress, casual and athletic footwear without requiring any trimming, and is also U.S. made and washable. Reduces Achilles pain and swelling. Beneficial for foot cramps and restless leg syndrome. No padding so can be uncomfortable for some. Product has a wide fit. Caused calf and ankle pain for some users. Doesn’t mold to the foot. Caused knee pain for one user. After assessing our products on their effectiveness, features, quality and price, our choice for the best insoles for flat feet are COMENII Orthotics for Flat Feet. This product was designed and created by foot care professionals, and this is apparent in its quality and effectiveness on flat feet. 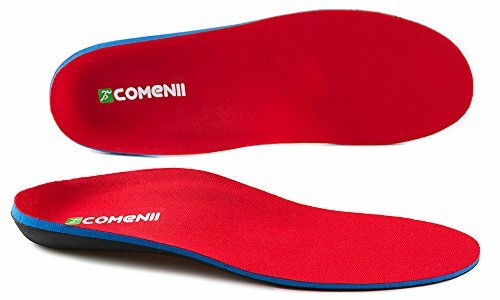 COMENII insoles are engineered to support the ankle and prevent overpronation, so this product was found to be one of the most beneficial for alleviating pain in the foot and other areas of the body. It was also beneficial for other foot conditions including plantar fasciitis and metatarsalgia. 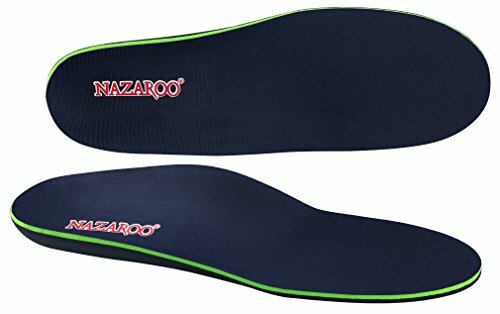 These insoles were significantly better value for money than both the Superfeet Powerstep models and didn’t cause further discomfort like the NAZAROO and WalkHero insoles did. The combination of benefits for managing flat feet, quality and cost effectiveness make COMENII Orthotics for Flat Feet our choice for the best insoles for flat feet currently available.